End of Summer Haul // Ikea, Coconut Lane and more! Hey lovelies! Today as you read this it will literally be my first day back at school (wish me luck...) but it means this Haul really is an 'end of Summer' one for me! I'm so nervous for Year 9 eek, an extra years worth of homework and stress to pile on top of the last and choosing my GCSE options arghh! In the past week though I've been out on quite a few shopping trips and spent most of my last precious summer holiday days scrolling through online bits and bobs too so it's safe to say I have bought a whole lotta stuff recently and what better way to show you than to do a Haul Post? * lil' disclaimer, I am not trying to brag in any way and all items were purchased with my own money* but you guys know that! The very first things I picked up were sorta re-buys for me really, basically things that I had run out of (or dropped and accidently spilt...High Beam I'm sorry!) 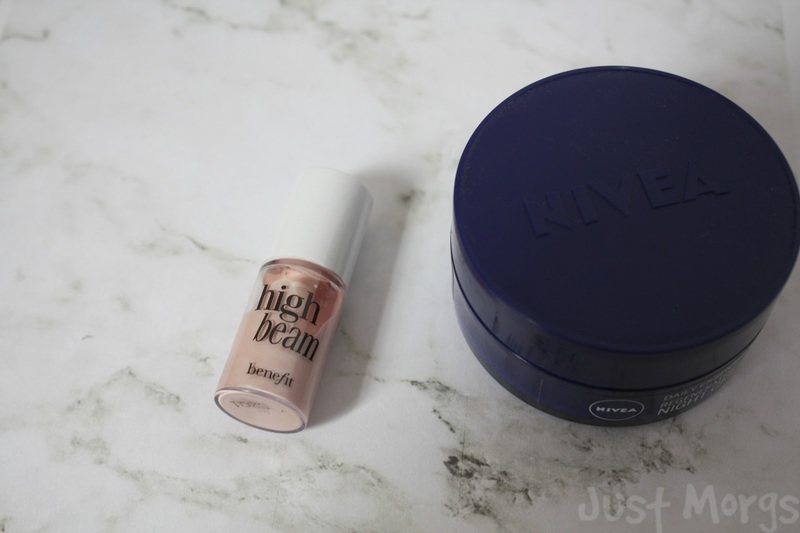 So I bought another of the 4ml High Beam Highlighter from the Benefit counter and a Nivea Night Cream. I love, love, love both these products and would recommend them to anyone! The next few thing I picked up on my trip were from Ikea which I've been dying to go to for ages and that's the 3 plant pots - 2 different sized ringed ones and one small Skurar one. 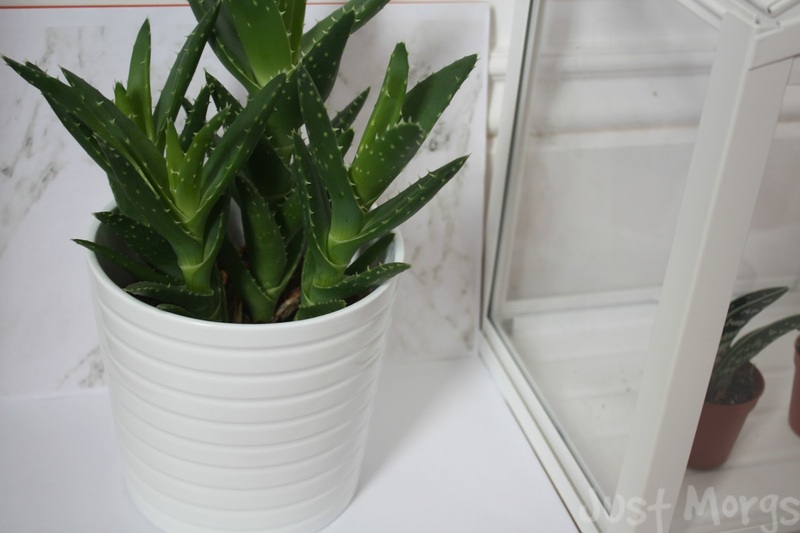 It's no secret I have an massive love for plants, particularly cacti and succulents, but although I usually buy them as planty babies (aka very small. I swear I talk about them like their my children I know haha!) quite a few of them were growing too big for their pots. So I decided to find some new ones in Ikea that would match my room (yes, white how very interesting...) and looked much cuter than my previous bog-standard terracota brown pots. I also bought the Skurar one, not for repotting anything in, but to pop my makeup brushes in like you can see in the first picture and I think it's such a simple and pretty way top display them! This was an online buy from Coconut Lane which is basically a boutique website I've fallen in love with recently. They have lots of homeware-y bits like wall art and cushions, as well as sassy and cute stationary, phone cases and jewelry and I literally spent forever scrolling through the website before I decided on this. 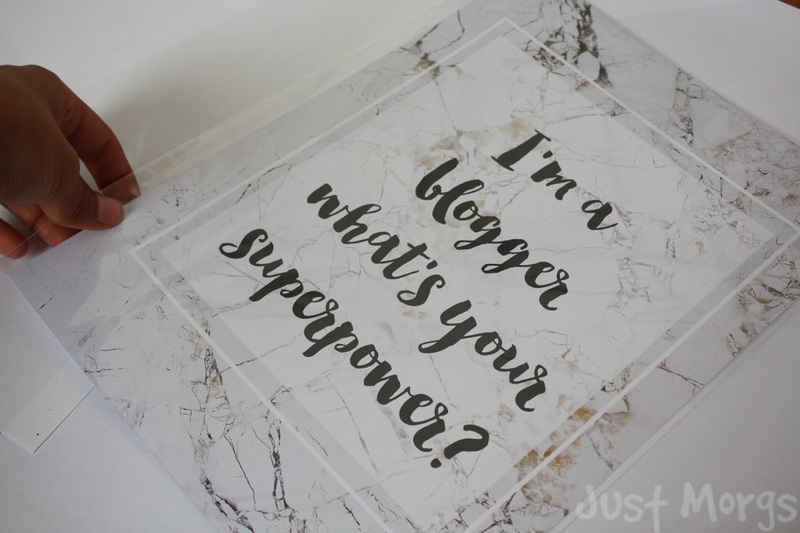 I bought this wall art print, a marble decorated 'I'm a blogger, what's your superpower?' which I thought is very fitting for me hehe and I can't wait to find a frame for it soon. Coconut Lane also works closely with lots of bloggers (the actual website being run by two ex-bloggers of their own) and so they've made me a 'coconut queen.' As well getting to be an ambassador for a brand I truly love (I mean, just look at their stuff!) it also means I've able to give you a special 20% off discount to the entire site using the code: JustMorgs20! So if you want to have a scroll through other cute bits like I bought you can check out the Coconut Lane website here and simply treat yourself to a 20% off at the checkout with my code. And another Ikea buy which not even kidding is probably one of the favourite things I've ever bought is this mini greenhouse. I have seen this on so many peoples instagram's and since I have so many little plants in my room I'm not really sure what to do with, this was perfect for keeping them in. As well as looking cute af, this mini greenhouse was just £12 and fits snugly on my bedside table. Inside you can see a few of my baby cacti and succulents: Moon. Monty, Jess and Clarke. Yep, I named them...I told you I was obsessed! QOTD: WHAT'S YOUR USUAL STARBUCKS ORDER? I love all these things! 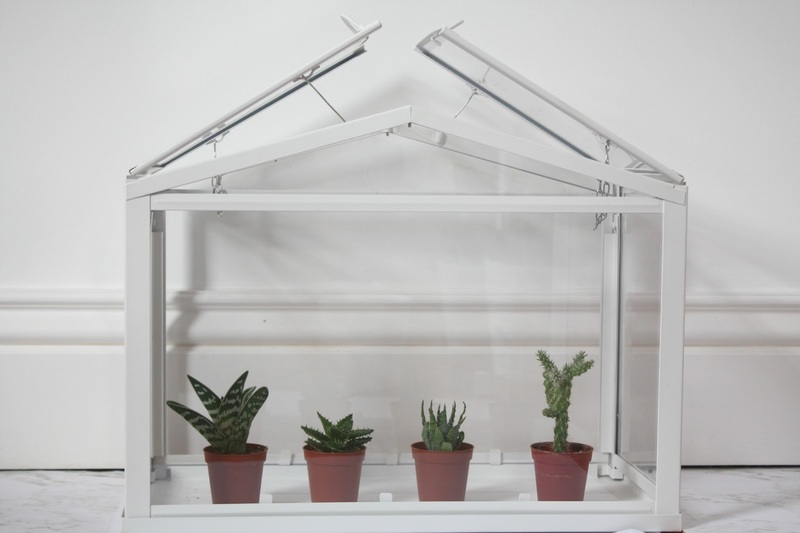 IKEA is brilliant and beautifully cheap, those plant pots and mini greenhouse looks gorgeous! Thanks for the discount- Coconut Lane is the cutest, I love home decorating!! Good luck with your GCSE choices and the start of your new year! I love Ikea! I have the skurar plant pot, reminds me I need to get another one as you can use them so many different things. Thanks for sharing, I love High Beam! I love how the mini green house looks. Your plants will be super happy in their new home, I'm sure of it. :) Great picks! 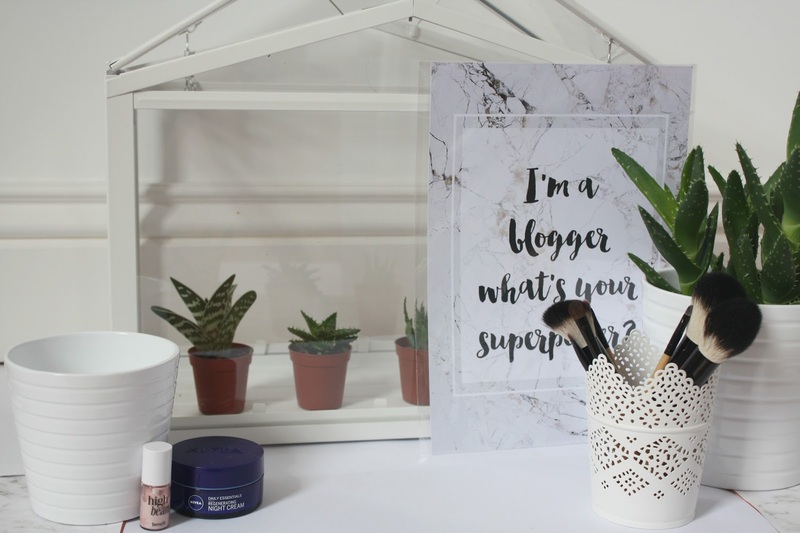 My favourite items of this post are the Coconut Lane print and the Ikea pots and greenhouse! I love that plant box. That is absolutely adorable especially in white!